Guess what’s coming up in the next Wappler update! Yes! 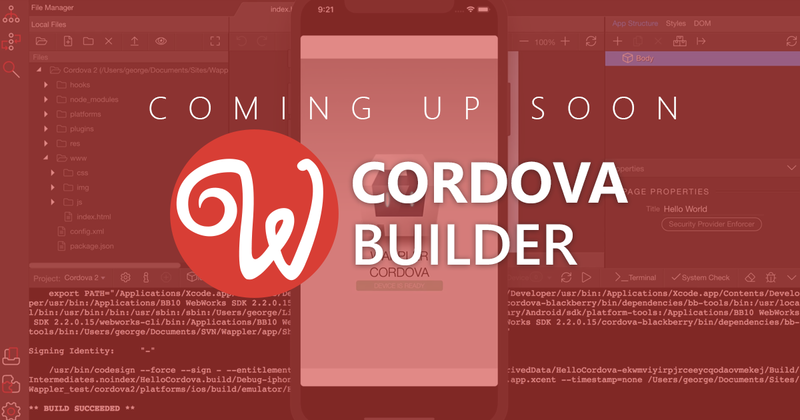 The long-awaited awesome Cordova Builder for mobile packaging and deployment! It allows you to build and publish amazing mobile apps directly to Apple App Store and Google Play Store with a single click. So simple and so powerful!